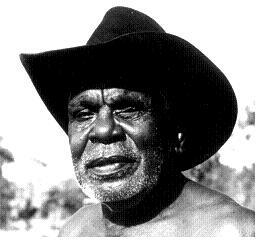 Gordon Landsen Millyindirri is an elder of the Gudanji tribe from Borroloola in the Gulf of Carpentaria, Northern Territory. His rich traditional paintings translate from the Dreaming and depict imagery rich in culture and heritage. Pictures of rain dances, hunting, the life cycle of butterflies in the bush, and camp sites portray stories handed down through the generations.